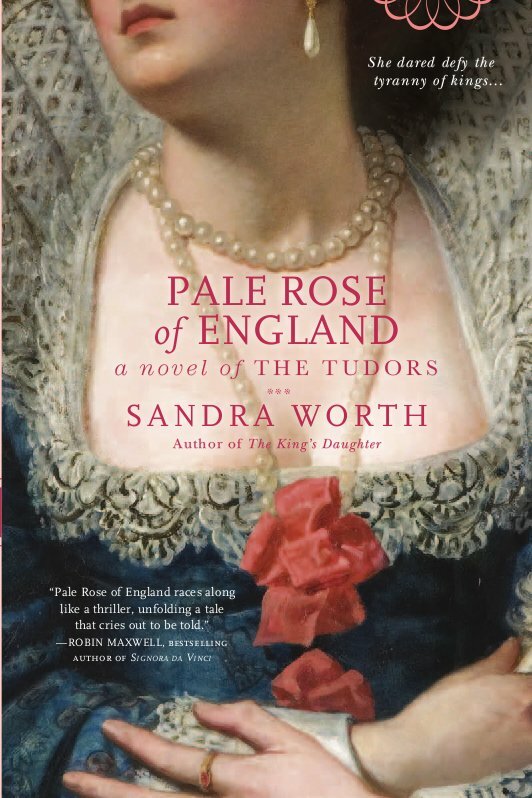 To celebrate tomorrow's release of THE TUDOR SECRET and of my friend Sandra Worth's new novel, PALE ROSE OF ENGLAND, I invited Sandra to be interviewed. Nothing is nicer on a release day than to take the pressure off by talking about someone else's book, but Sandra wanted to interview me, as well, so we decided to make this a joint celebration. 1) Congratulations on your new novel, PALE ROSE OF ENGLAND. Please tell us what inspired you to write this story. Hi, Christopher! Thank you for having me here today. Pale Rose of England relates the story of the Pretender that the Tudors called “Perkin Warbeck” and his love affair with the beautiful Scottish princess, Lady Catherine Gordon. I had written five previous novels on the Wars of the Roses, and never believed that Richard III had strangled his two nephews to death. I was one of those who thought he had smuggled the younger prince out of the country for his own safety—a narrative I presented in The Rose of York: Fall from Grace. When a wonderful new book came out recently on the Pretender, I found a great deal of information there to confirm my sense that the Pretender really was King Edward’s younger son, Richard, Duke of York. So I asked myself, What would have been like for him? Pale Rose of England was the result. 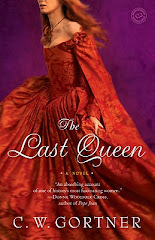 2) This book closes out your series of novels set in time of the Plantagenets. What do you find so fascinating about this particular era? The Wars of the Roses is a colorful time of knights, and girls in long dresses, intrigue, and war. It has an Arthurian feel, maybe because Sir Thomas Malory who wrote Morte d’Arthur lived and wrote his tales of King Arthur’s court during this time. The love stories that populate the period bear amazing resemblance to those we cherish. There’s Romeo and Juliet, where young a pair of lovers are swept apart by the family feud and reunited through the power of love. And there’s Cinderella, where a handsome prince rescues the girl he loves from the kitchen where she has been enslaved. There’s also so much more. It’s hard to resist the allure of the Wars of the Roses! 3) Do you travel to see the sites you write about? If so, why do you find it important? For me, travel is the best part of writing. I make it a point to visit the places I write about and find it vitally necessary to retrace my character’s footsteps. It gives me a feel for the lay of the land, the vegetation, the scent of the air, and what my characters may have seen and felt as they went about their lives. It never fails to help. Sometimes, if I’m lucky, standing there where they stood, and gazing on what they saw, a scene will leap into my mind. Those are the most rewarding moments. For Pale Rose of England it was St. Michael’s Mount that proved invaluable. Climbing those massive stone steps hewn into the mountainside with the fierce wind from the sea blowing in my face, I was aware with every breath and every step I took that Catherine and Richard had climbed those same steps before me five hundred years earlier. I had the strongest sense of them in that place. Not only did I see what they saw as they looked around, but I felt what they might have felt as they made their way up to the fortress on the Mount with the dreams that lived in their hearts. 4) What do you find most challenging about recreating the past in fiction? Not changing the historical record to suit my convenience! Many times I’ve wished I didn’t have to jump the hurdles that facts put in my way, and many times I just wanted to change the ending. That’s an emotional reaction, because history can be so cruel, but I always stick with the facts as best I can. It’s just a question of taste and style. There are authors (and readers) who prefer stories where imagination predominates, and authors like me (and readers like mine) who prefer stories where accuracy prevails. 5) Can you give us a hint of what you're working on next? I’m halfway through a novel set a long way from England—in a time of war, tumult, drama, upheaval and great passion. I can’t say more than that right now because I’m superstitious and don’t want to jinx my book. But it’s one amazing story and I’m having so much fun writing it!! Thanks so much, Christopher, for having me here, and good luck with your Feb. 1st release! 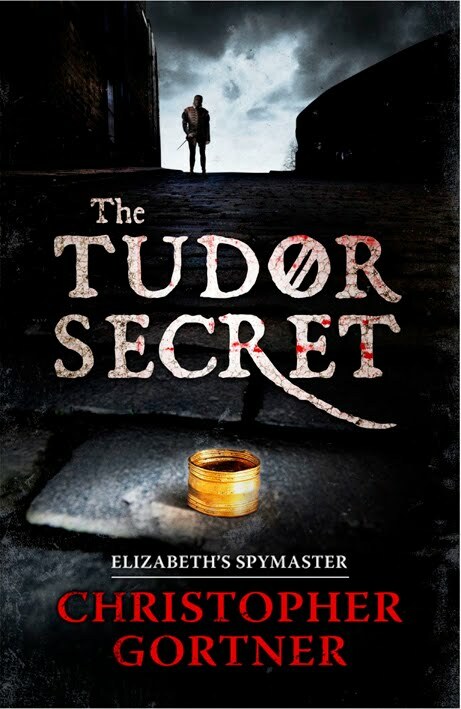 1) Congratulations on your new novel, THE TUDOR SECRET. 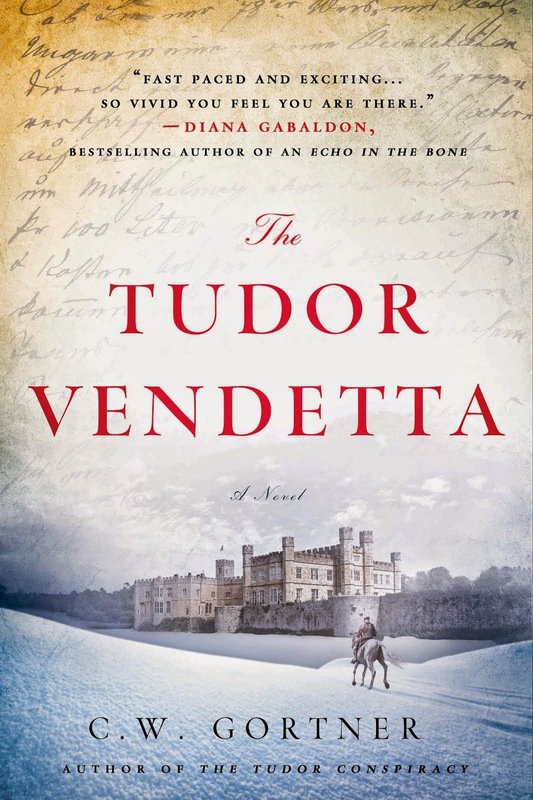 This is a spy novel and quite a different genre from your historical fiction novels on Juana La Loca and Catherine de Medici. Can you tell us why you felt you wanted to try a new direction? What is the attraction of writing a political thriller set in Tudor times? Hi Sandra, thanks for interviewing me! I hadn’t planned to write a political thriller set in Tudor times. Actually, I was researching another character for a possible novel when I stumbled upon research about the birth of the Tudor intelligencer, or espionage, system. I was fascinated. I knew that Elizabeth I had been protected by one of the most sophisticated intelligence systems in the world but I’d never stopped to consider the details of what being a Tudor spy might entail, or what the seeds of that service might have looked like before Elizabeth assumed her throne. While the Tudors have been covered from nearly every angle, nothing I’d read explored the possibility that Elizabeth may have had her own intimate spy, someone devoted to her special interests— and someone who had his own deadly secret. I was so inspired that I started drafting the outline for THE TUDOR SECRET; while unsure about embarking on a new direction, once I began writing I realized that I really enjoyed some of the liberties working with purely fictional characters allowed. While my book interweaves factual people and storylines, I could also give rein to my imagination. 2) This book opens an entirely new series for you. How can you keep a spy series going when you are also doing research for another Historical Fiction novel? Do you ever feel overwhelmed? Do you ever confuse the characters? I don't get the stories or characters confused because the books are so different. I also don’t work on them at the same time! Also, I try to keep my Tudor series separate from my stand-alone novels, in that I won’t write a stand-alone book set in the same time-frame as one of the Spymaster books. Earlier or later is fine, but not the same. 3) Do you visit the places you write about? If so, why do you feel it’s important, and what is the most memorable thing that happened to you during a research trip? I always travel to the places I write about. For me, it’s vital to see the actual sites where my characters lived, no matter how much they may have changed. I often return from research trips revitalized; landscape, internal and external, is very important to me. The most memorable thing that happened to me during a research trip was at the Chateau of Chenonceau in the Loire valley. 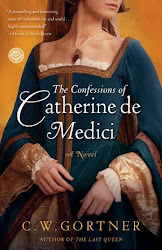 I was researching Catherine de Medici and the manuscript was not working at all for me. I kept feeling as if Catherine herself eluded me. But when I visited her chateau and saw for myself the uniquely feminine Renaissance spirit she had infused into it, it opened my mind. I realized I’d been seeing Catherine just as her legend described— unemotional, ruthless, devoted solely to the pursuit of power. Her chateau revealed a secret side of her to me, a Catherine I think very few got to see, and it inspired me to delve further beneath her exterior, to discover the woman she might have been. 4) What do you like most about- and dislike most - about recreating the past in fiction? I like creating the sensation – sound, smell, taste, sight— of the past in fiction, to walk through Tudor London with my lead character, Brendan, and experience the city in all its squalor and glamour, just as he does. I dislike having to depict some of the harsher realities of the time, especially cruelty to women and animals. I often say that while I love visiting the past, I don’t want to reside there permanently. 5) Can you tell us what you're working on now? 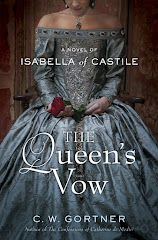 I just finished a stand-alone novel about Isabella of Castile, which is currently with my editor at Ballantine Books. I’m now writing the second book in the Spymaster series, which takes Brendan back to court in the months before Mary Tudor’s marriage to Philip II and embroils him in another deadly plot against Elizabeth. This time, however, Brendan is savvier and believes he knows what he’s up against. He’s in for some very dark surprises. Thank you, Sandra, and I wish you much success with your new book! 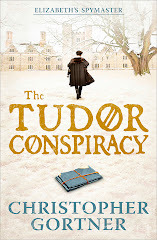 Three new reviews in for THE TUDOR SECRET, plus I just found out the Historical Novel Reviews has chosen the book as a February Editors' Choice title. Very exciting! From Biblioklept: "A tightly-plotted, quick-paced read, stuffed with animated historical characters buzzing around in a world of espionage and intrigue." Only a few days left until publication! My schedule of blog tour stops are online here. 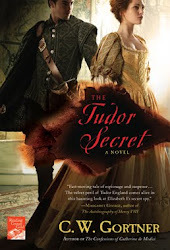 Though my official blog tour for THE TUDOR SECRET starts February 1, fellow writer and historical thriller fan, Justin Aucoin, interviewed me recently on his blog. I hope you enjoy the interview, which offers a sneak peek into my reason for writing this new book as well as my thoughts on historical fiction and publishing. Justin had some very interesting questions that were fun to answer! Thank you, Justin, for this opportunity. Coming from a reader, it's all the more special to me. For Bloggers: If you want to review, let me know! 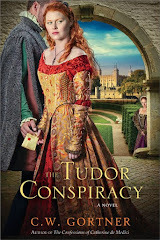 The 10 free copies of THE TUDOR SECRET which I was offering via my previous post were snapped up in less than 24 hours! However, I'll be getting some more copies in, so if you are a blogger with more than 15 followers; are focused on book reviews; and are not taking part of my official blog tour, please do send me a request via this link. While I can't guarantee to fulfill every request, I promise to do my utmost. Blogger support means a lot to me, and I really enjoy working with you and your readers. In most cases, I am also available for Q&A and/or chats with your readers. Lastly, I'm always available for author chats with book groups via Skype or speaker phone. Book groups can contact me here. **UPDATE: Copies gone!! ** It's almost here! February 1 is right around the corner, and in celebration of the upcoming release of THE TUDOR SECRET, I am offering 10 free review copies to bloggers who are not signed up for my official blog tour. In order to qualify, blogs must have at least 15 followers and carry a focus on book reviews. I'll ship internationally, of course, depending on the number of entries I get. If you're interested, please contact me via my website here. Thank you to all of you who blog about books! I really am so grateful to you for everything you do. Thank you to my fabulous publisher in the UK, Hodder & Stoughton, for their incredible support and these gorgeous covers. My UK readers can purchase these books wherever books are sold; right now on amazon uk, CONFESSIONS is 50% off!! Thank you to all the Bloggers! 2010 was a great and very busy year for me, professionally. 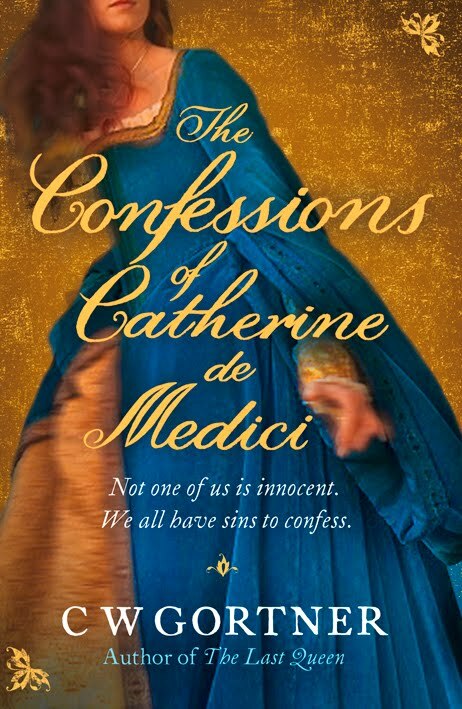 In May, Ballantine Books published my second novel, The Confessions of Catherine de Medici, to excellent reviews. I also wrapped up the editorial polish on my forthcoming historical thriller, The Tudor Secret, Book I in the Elizabeth I Spymaster Chronicles, and finished my third stand-alone historical novel on Isabella of Castile, which is now with my editor at Ballantine. Toward the end of the year, I began writing the second book in the Spymaster series. Whew! Along the way, bloggers were my champions. They supported my work, featuring me with interviews, reviews, guest posts, as well as a fabulous Historical Fiction Roundtable launch event. Bloggers have helped immensely to get the word out about my - and many other authors' - books, often in their spare time, between jobs, kids, crises, and responsabilities of their own. For me, bloggers are the unsung heroes and heroines of the book industry: they are making the difference for many writers in a time when review space at periodicals is vanishing and only the top bestsellers are getting much in the way of media attention. Therefore, for me the Persons of the Year are bloggers. Each of you helped make 2010 a stellar year for me and I am so very grateful for your support. 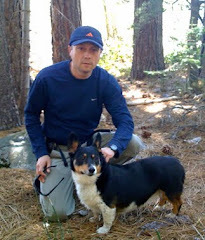 I hope to contine visiting your blogs and entertaining you and your readers for many years to come.